A promotional Kit is available for retailers who traditionally carry Gift items. 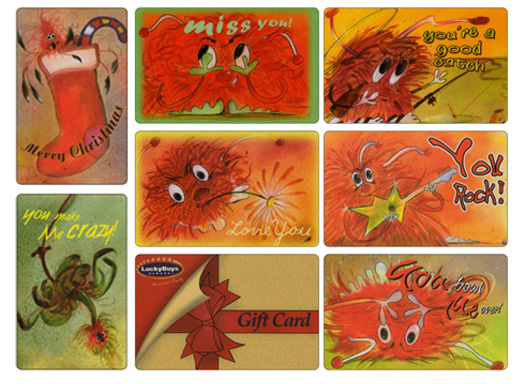 Photo-DATA Card is willing to avail this promotional GIFT CARD Package at absolutely no charge for evaluation. The GIFT CARD PACKAGE consists of a number of highly desirable plastic gift cards among teenagers together with a trendy looking presentation stand. Samples are available at request at no charge. Call: (03) 9696 7856 or email sales@photodata.com.au for the information / evaluation Kit to be send out.